Always dreamed of getting rich and blowing it all on the adventure of a lifetime? Well Garrett Gee got rich and then he and his family did set off on the trip of a lifetime – but their travels didn’t cost them a dime of the millions Garrett had made from the sale of his company, Scan, to Snapchat. In 2011, Gee and some college friends co-founded Scan, the company responsible for developing the technology that became the basis for Snapcode. 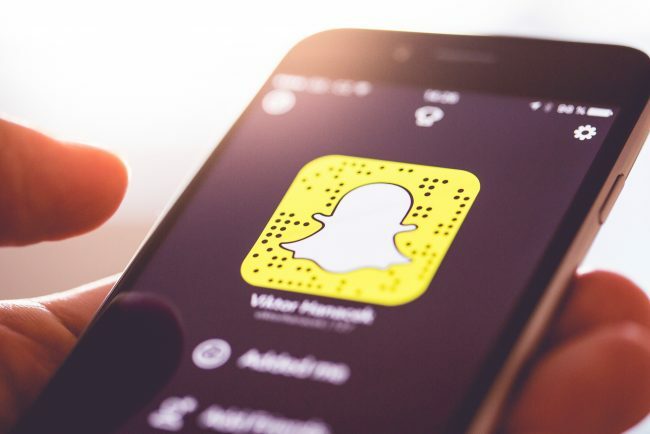 The software allows Snapchat users to identify and add others using only their smartphone camera and user icon. After moving to San Francisco’s Bay Area to make a success of Scan, Gee soon decided that the fast-paced life of tech haven Silicon Valley wasn’t for him. He agreed to help the company fundraise prior to his departure and, after appearing on entrepreneurial investment show Shark Tank, in late 2013, the firm came into the scope of Snapchat’s acquisition team. A deal was negotiated and, in 2014, Snapchat acquired Scan for $54 million. Life in the Bay Area moves quickly and Gee soon worried he was losing track of what was really important to him. He wanted to find more time for his family and preserve his physical and mental well-being – both difficult to do in Silicon Valley, a fast-paced hub of the digital age. The family decided to sell their possessions, use the money to satisfy their appetite for travel and only return when the money ran out. After shedding their modern materialism, the Gees set off for what they expected would be six months’ travel with the $45,000 they had made from the sale of their belongings. Gee soon decided that the family should continue to travel if, after six months, they had not used all $45,000 or, alternatively, if the family found a way to make their travel sustainable. And boy did they. The Bucket List Family blog began as a way for the Gees to document their travels so friends and family could see what they were getting up to. Aspiring adventurers soon caught wind of the site, and its associated Instagram account now has 598,000 followers and counting. What now for the Gees? With The Bucket List Family, the Gees have earned social media fame and all the sponsorship money that comes with it. That means their travel funds are far from depleted and, while Garrett’s Snapchat millions remain untouched, they are free to continue their nomadic lifestyles until their hearts tire of the adventure. If travel enriches a person’s soul, imagine what it can do for a family’s spirit. The Gees may not be the wealthiest family in the world – although they’d have to be up there – but they may well be the richest.